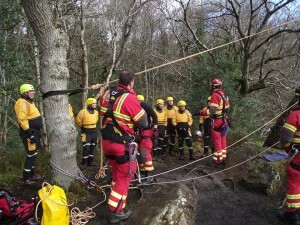 Members of the Community Rescue Service Water Team were in Roe Valley Country Park are training alongside members of the NI Fire and Rescue Specialist Rescue Team from Blue Watch. Lots of rain means that we can see rivers getting higher and conditions changing quickly over the next few days. 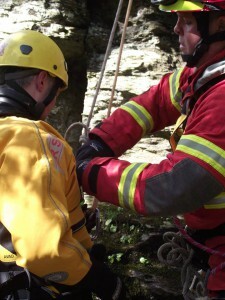 The Specialist Rescue Team showcased the setup of their ropes access equipment. 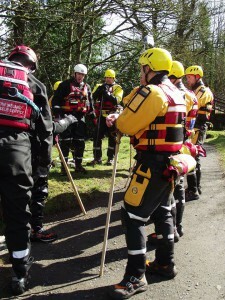 The Community Rescue Service team then were deployed for a exercise. 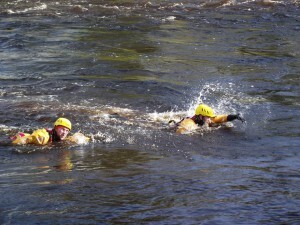 Training then moved upstream where the team took part in practical flood response and river safety exercises. This is from Portglenone Community Rescue Service Facebook page: The CRS would like to thank Station Commander Neil McKerracher and the members of Blue Watch for sharing their knowledge and expertise with the CRS WRT and we look forward to continuing training with our colleagues from NIFRS in the future.